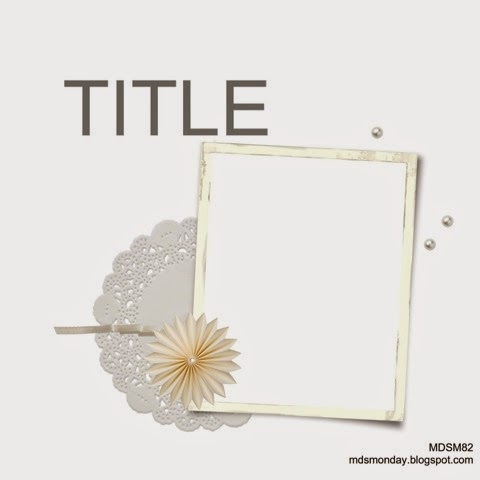 I really enjoyed creating for this week's MDS MONDAY BLOGSPOT challenge theme of "white on white"! I knew immediately that I wanted to do a card, and I was tempted to do a wedding card because of the colors. 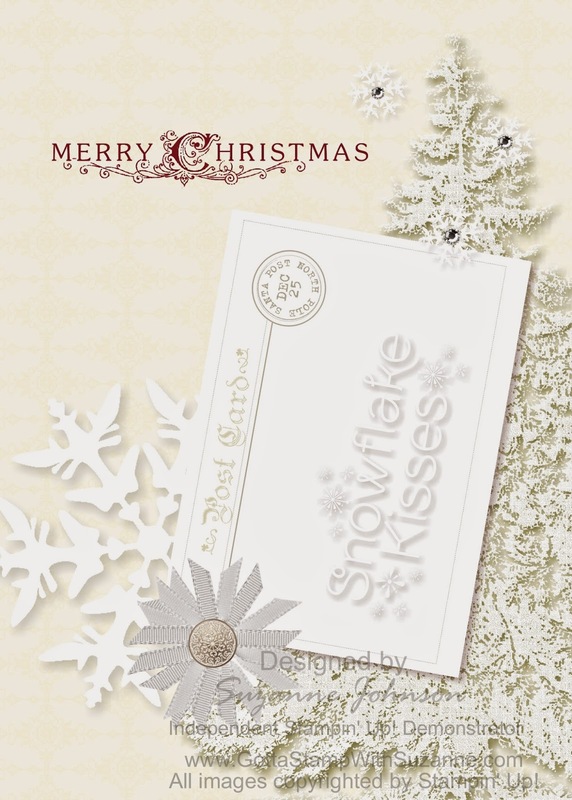 However, since I recently did a wedding card I decided to do Christmas instead - after all, it is not that far off! And, after this challenge, I have only two more challenge weeks as a guest designer and then I will be back to submitting my designs for the challenges as a player, as often as I can! 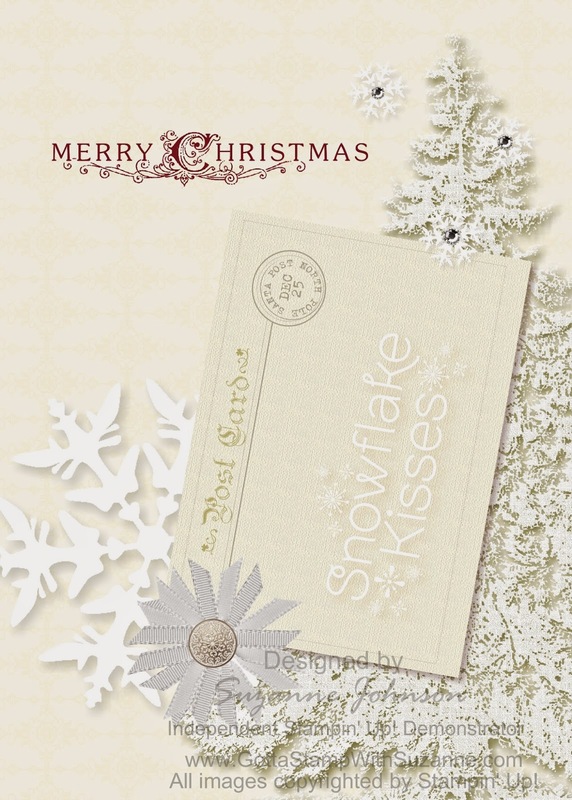 During my creative process, I also made a version using Very Vanilla Textured Cardstock to fill the rectangle punch that makes the postcard background and shape. The colors and shadowing on the stamps overlayed on the punch are a little different than in the white version, otherwise everything else is the same. The vanilla gives it a more "aged" look than the white. Ribbon medallion: Whisper White Taffeta Ribbon Knot (resized, then copied multiple times, flipped and mirrored some copies; rotated each to direction needed when overlapping them at the center); . Very elegant card Suzanne! Love it!